Reporting Overview: AccountSight has a strong reporting tool that helps to represent all data generated by the time and billing software in a meaningful and systematic way. Reporting can be performed separately on time, expense and invoicing data. 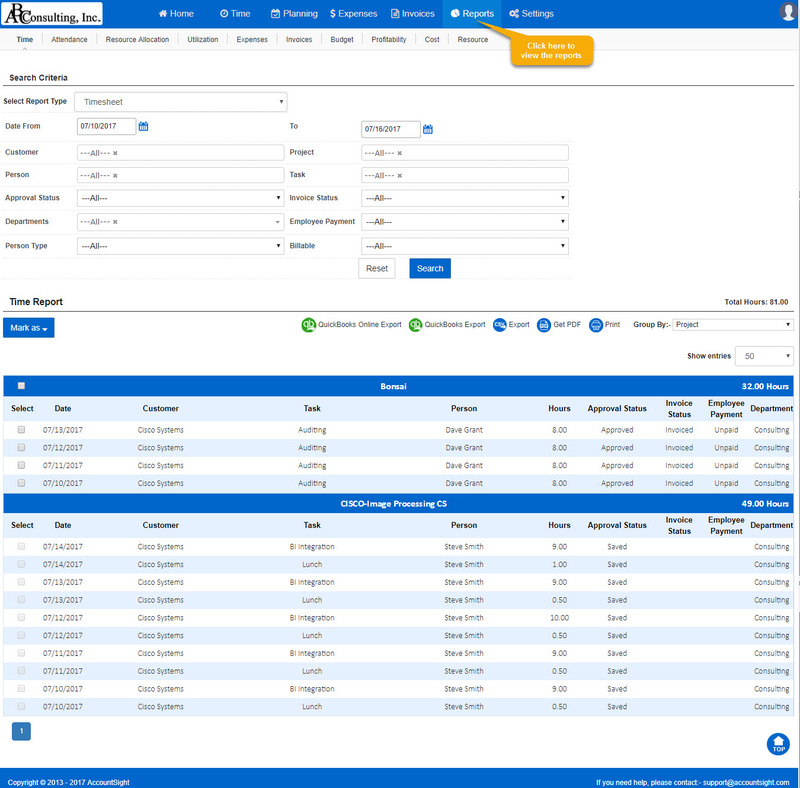 Also the dashboard provides a wholistic view of all invoiced and uninvoiced time and expenses.